DigitalBulls is a US based independent service provider, which renders round the clock support to its customers across the globe.With a full team of engineers, we provide support from getting informed to delivering solutions. Be it Computer, Tablet, or Smartphone! We offer several different plans to fit your needs and budget. We pride ourselves on our fair pricing practices. We fix your problems on time and as promised. If you are not satisfied with our work, you can even cancel the plan. 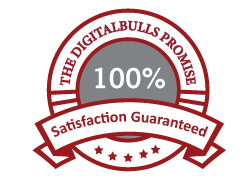 At Digitalbulls, your satisfaction is our top priority. Licence key ( Virus Vanish / System Care Pro ) Get Licence key ( Virus Vanish / System Care Pro ). System Optimisation Get System Optimisation. Driver Updates Get Driver Updates. Regular Monthly Cleanup Get Regular Monthly Cleanup. Personal Account Manager Get Personal Account Manager. All Benefits of Diamond Plan All features & benefits of Diamond Plan included. Computer Regular Maintenance Get Computer Regular Maintenance. Data Recovery Get Data Recovery. File Maintenance Get File Maintenance.